Headlines > EU affairs > Current page:: Youth Parliament: "Focus on what unites us, not on what divides us"
Youth Parliament: "Focus on what unites us, not on what divides us"
Just six months ahead of the EU elections, 800 young Europeans took part in the Youth Parliament event on 19 November to make their voices heard on Europe’s future. 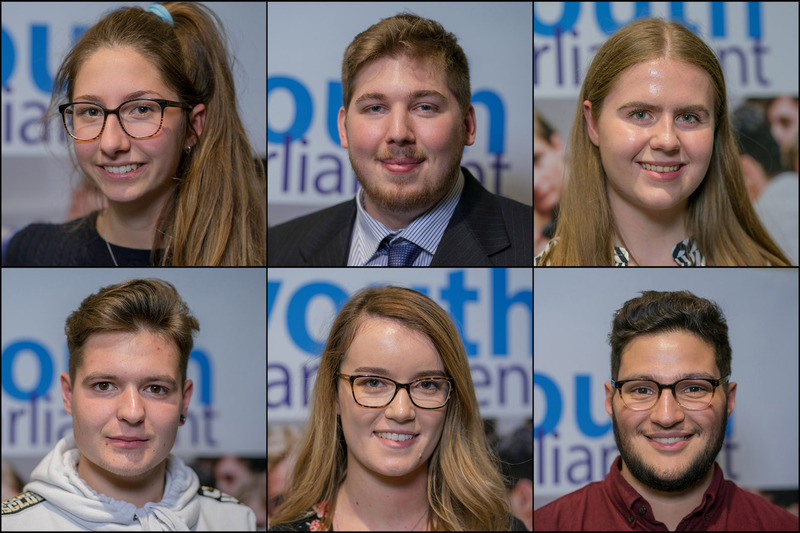 A follow-up to last June’s European Youth Event, the first ever Youth Parliament included discussions on how to increase young turnout in elections, making Europe’s rural areas more attractive for young people, tackling plastic waste, and creating more sustainable cities. The event hosted by the European Parliament was an opportunity for young people to share their vision of Europe. "My dream for Europe is a Europe more united than ever that is able to focus on the things that unite us and not on things that divide us," said Jacopo, from Italy. Learn more about some of the participants’ ideas on our Instagram page. The findings of the Youth Parliament were adopted by participants in a vote and will be presented to President Antonio Tajani, who will bring them to a summit of EU leaders next month. Pledge to vote in the EU elections! Young people came up with ideas for a better Europe as part of Parliament's European Youth Event in June. Their best ideas will be presented to Parliament committees the coming months.